When will be Louisiana Flip N Move next episode air date? Is Louisiana Flip N Move renewed or cancelled? Where to countdown Louisiana Flip N Move air dates? Is Louisiana Flip N Move worth watching? In "Louisiana Flip N Move", three teams of New Orleans house flippers buy abandoned properties in the Big Easy and then haul the old homes to new locations for a complete renovation. The teams must find creative ways to transport the homes through the city's narrow roads or even float them on barges across the mighty Mississippi River to their new address. Robert and Katie put an Americana twist on an auction win that has surprises underneath the walls. Meanwhile, Mike and Megan strike a deal for a small boxy building they plan to convert into a hunting lodge perfect for any Louisiana sportsman. Mike and Megan win a house in good condition. They decide to rotate the home on its existing lot, which saves them money and allows them to go all out on the design plan. Louisiana Flip N Move next episode air date provides TVMaze for you. 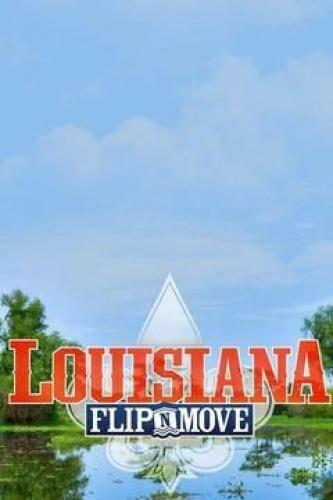 EpisoDate.com is your TV show guide to Countdown Louisiana Flip N Move Episode Air Dates and to stay in touch with Louisiana Flip N Move next episode Air Date and your others favorite TV Shows. Add the shows you like to a "Watchlist" and let the site take it from there.